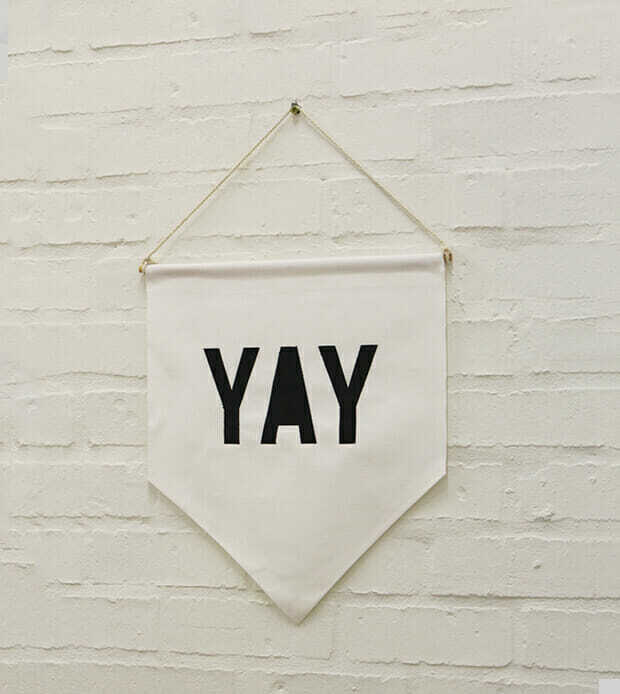 Today we wanted to share a fun DIY no-sew fabric banner. 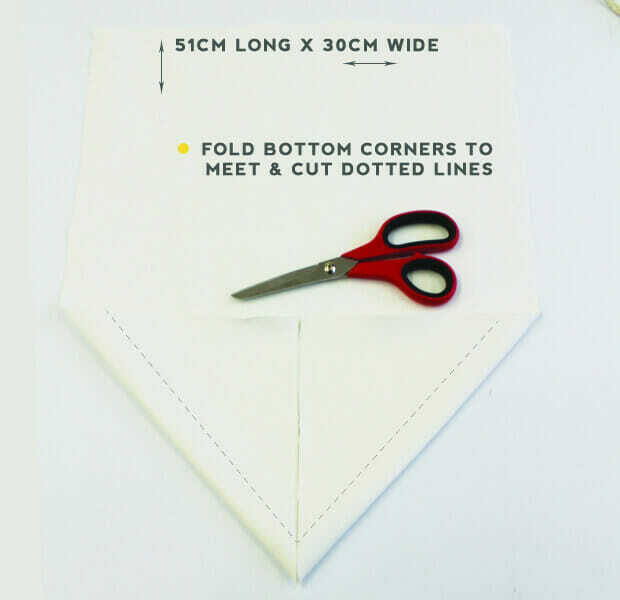 This DIY is pretty easy to do but takes a little time and patience to get right! The end result is so nice that its totally worth the time! 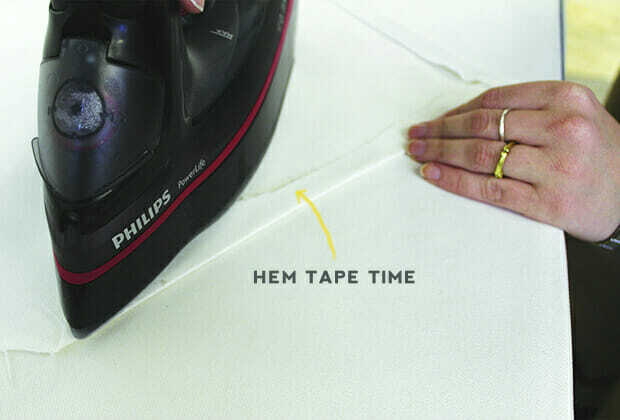 – Hem tape (can be found at fabric or craft stores) – Surprisingly very cheap for a huge roll! 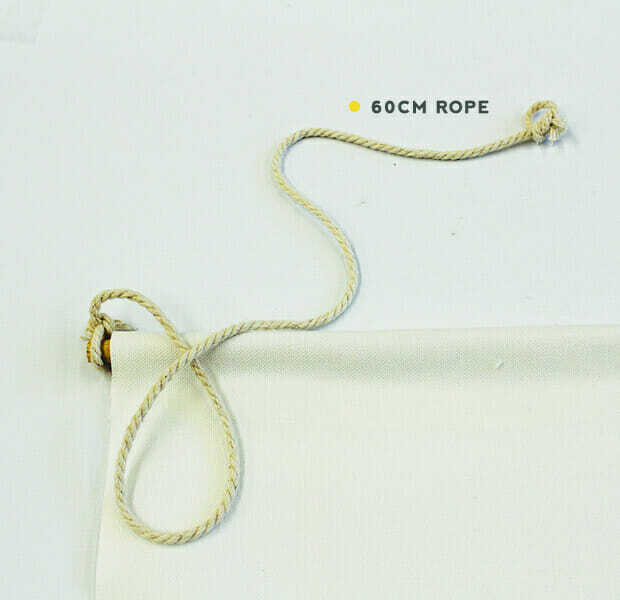 Step 3: On the other end to the hem tape you have just ironed, place your wooden dowel down and flap over the fabric to meet a strip of hem tape on the other side. This will create a little slot for your dowel. 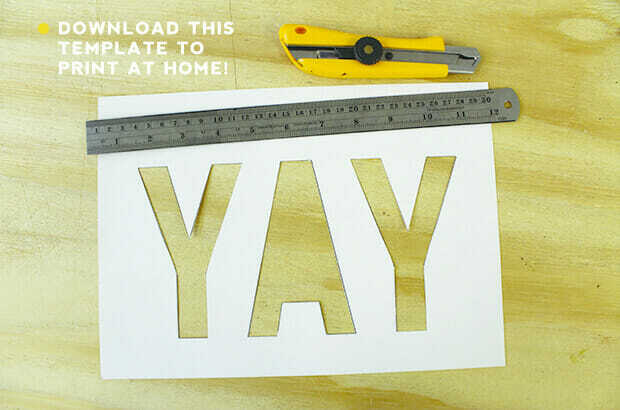 Step 4: Then you will want to download this ‘YAY’ template ‘yay-diy‘ & print it (at scale) onto your A4 adhesive paper using your home printer. You can actually print & use whatever word you like! (** tip – try choose something with straight lined letters as this will make the next step much easier!) 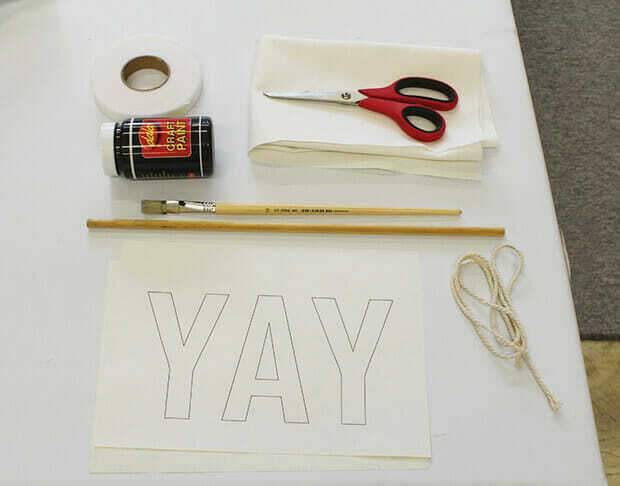 Cut out your letters using a craft knife & metal ruler. Ta-Da! 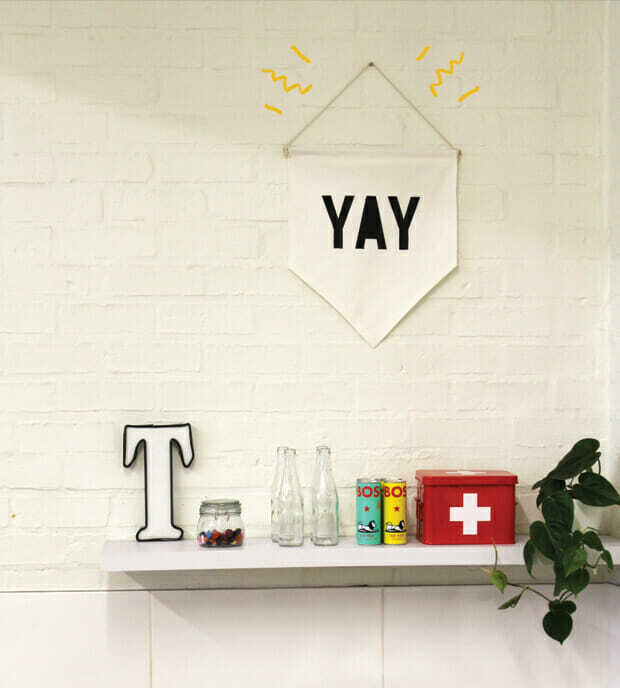 You now have a pretty & charming YAY banner! We decided to use ours above our office kitchen shelf, adorable isn’t it! 🙂 Please leave us a comment below if you enjoyed this DIY or if you get stuck at any stage & need help!